These frames are a perfect, versatile frame for oil paintings. The subtle variety of shades of gold, plus the linen liner, make most paintings pop. Very pleased with this frame. 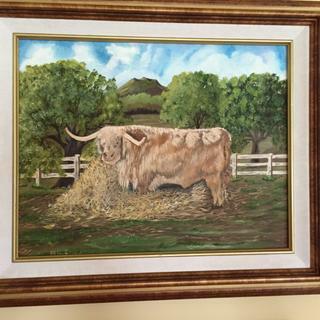 I take oil painting lessons and just needed reasonably priced frames to use to display my art work at home - custom frames are way too expensive. This frame will be useful because I can switch my artwork and hang different ones and the price was perfect. Very nice frame for the price-avoids the added expense of a separate linen liner. A really nice frame for the money. I love this frame. 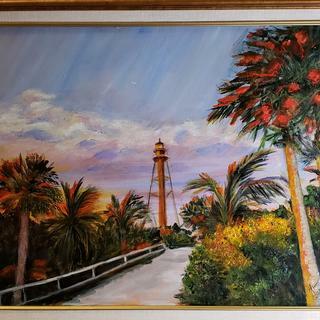 I have 3-4 of my paintings done using it, and I am always amazed at how it is the perfect finishing touch for the painting. Affordable, too. I am sure I will be selecting it again in the future. The frame itself was a very good value. The only complaint I have is that the clips to hold in the canvas were small and functioned poorly. I used larger clips that worked out well..
Hello Arthur! Thank you for your valuable feedback. We appreciate you sharing your awesome artwork!! The clips that were sent with the frame are retainer clips used for artwork on paper. We recommend using Canvas Clips to secure the canvas inside the frame. We are pleased to hear that you found a viable solution. In the future please give us a call so that we may send you what you need. We prefer to provide you with what you need instead of you having to go out to make an additional purchase. If you have any questions, please let us know. Happy Framing! I surprised my wife a picture in this frame. She is very picky about picture frames and absolutely loves this one. When I told her the price of the frame, she was floored. 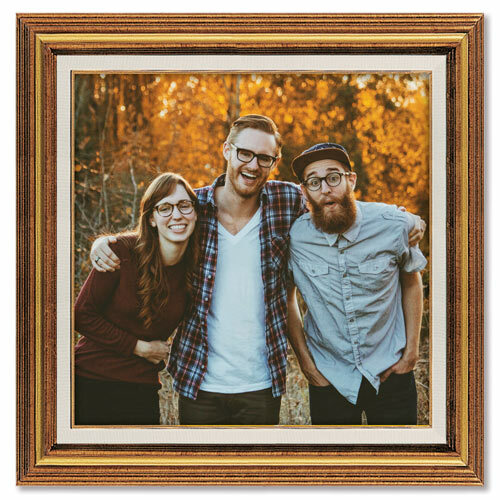 We’ve paid double and triple what I paid for this frame for other frames of similar quality. We expect to purchase all future picture frames here. It’s an affordable, well-made frame. I love that it has the built-in linen liner. Very pleased. Well made. all wood !!!!!!!!!!!!!!!!!!!!!!!!!!!!!!!!!!!! Exactly as represented, excellent quality, shipped promptly. This is a beautiful frame and I would highly recommend it. It is well-made and the quality is excellent. 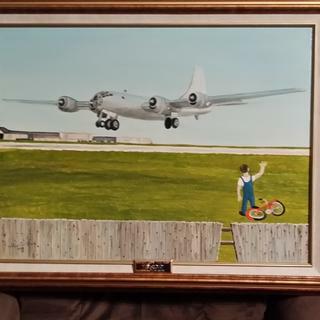 I gave three stars for the value because the shipping and oversized carrier charges are extraordinarily expensive -- they almost double the price of the frame. These extra expenses bring the cost of the frame to what I would pay at a local framing shop. However, I purchase from this site because they have a much larger selection of frames and I can always find the frame I want in the size I need. This is the second one purchased. Very classy and well made. Totally happy. Forgot to order painting canvas clips. Frame was of good quality. 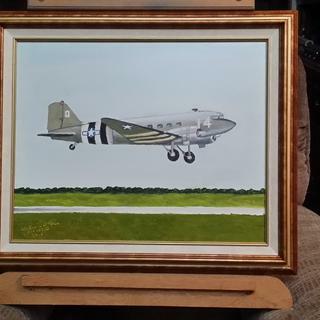 The canvas was not a standard size , so it was nice to get a nice frame at a reasonable price. This frame draws your eye to the southwestern high desert oil painting in it. It is both simple and elegant drawing your eye outward to enlarge your field of vision. It balances out the use of gold in other frames on the wall while not over blending with them because of the linen insert mat that is included. It could work with other scenic paintings because of its traditional yet flexible design. Overall, it has enriched the painting but not overwhelmed it. Very happy with the result of its selection! Very nice, but I wish it were wider. Although I would prefer the color to be uniform and the frame wider (frame and liner), it is a nice frame. I framed a 20" x 24" painting; for that size, the frame look a little small; but I knew what I was getting. The price is very good. All the mitered cornered were not perfect. The delivery service left my frame at the wrong address and i only finally got it after my neighbor brought it to me several days later. All my attempts to contact you to find out where the package was went totally unanswered. Hello Howard, thank you for your review. We apologize that you have had this experience and would appreciate the opportunity to make this right for you. Our customer care team is available Monday-Friday 8am-7pm eastern time and can be reached at 1-800-332-8884. We are happy to offer you a replacement frame at no additional cost for your inconvenience. We appreciate your business and hope to serve you better in the future. Frame is ok, but scuffed up a little. Apparently easy to do with thin paint surface. Also, canvas clips did not work...too long. Emailed customer service with detailed photos, and called, leaving message.... several days ago. No response yet! Hi! Thank you for sharing your feedback. We are very sorry to hear that you had difficulty with the hardware provided with your frame. Thank you for taking the time to speak with us and working with us to determine an amicable resolution. If we can be of further assistance, do not hesitate to contact us. As always, happy framing! You sent the wrong frame, not the one I ordered. I called about it, the person said that you could give a 15% credit towards my next order!!!! Wow, I don't think I have ever been treated so shabbily by anyone before. Horrible experience, never again. Bernard we sincerely apologize that you were not given the opportunity to return the frame. We are more than willing to accommodate you with a return label and have UPS pick-up the package from you. If you do not have a box to place the frame inside, I will send you an appropriate sized box. I intend on reaching out to you by phone so that we can make this right with you. Thank you again for your business. To match frames purchased for artwork being submitted for an art show at the Arts Club of Washington in April, 2019. These frames are for the photographs for the Duality Show. It is not too plain and not too fancy. I love the antique copper finish accented just a bit by bright gold and the liner that frames my paintings beautifully. The simple yet 'stepped' profile adds a lot of interest and I feel it complements nicely a lot of artwork types. 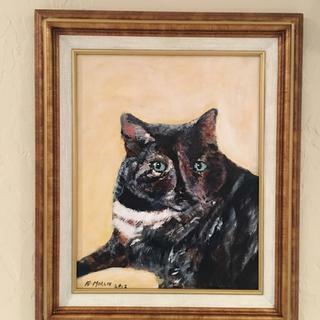 I have at least 10 paintings throughout the house with this frame. I previously ordered this frame and was so impressed with the quality that I decided to reorder in all given colors. Thanks very much!! 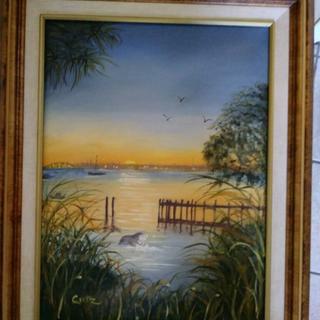 It will frame my Swan painting perfectly. Wonderful colorâgoes with most everything. Linen inset keeps the frame from overwhelming the small 6x8 image. The quality of your frames is exceptional. I have ordered several different frames over the past 2 years and have always been very satisfied. The current frame is for pictures I am painting for my grand sons. This frame enhances my painting which has considerable gold and orange hues in it. I have used this frame before. The linen border and it matched another frame I have. THISTYPE OF FRAME WORKS WELL WITH MOST ART; LANDSCAPES,, STILL LIFES, OIL, WATERCOLOR AND PASTELS. MY WORK IS MOSTLY LANDSCAPES. 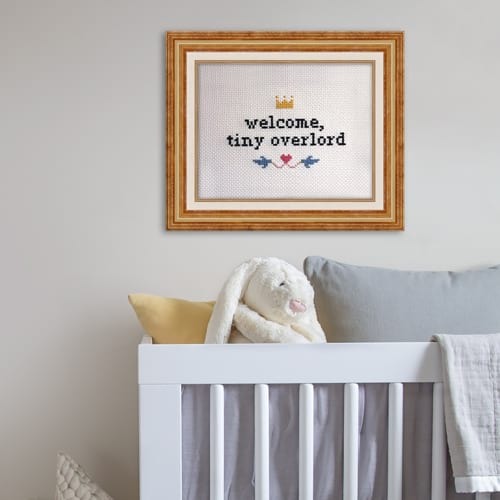 It's a very classy frame for some low-brow art. Looks nice. Has good reviews from customers. I have used similar frame in the past, but it was not available in 12"x12" from my usual vendor. This style suits my oil paintings quite nicely. It's antique and classic for my acrylic painting. These frames look good, have a high quality, and their price is reasonable. I had ordered two of these frames before and liked them. Canvas is 3/4" thick. Liked the color and design. 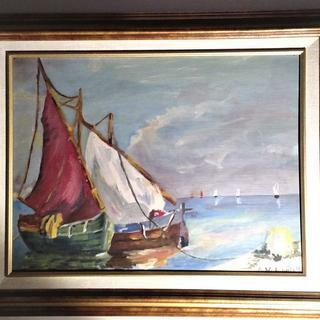 Good price, accents painting well. I like the linen liners with the wood inner accenting liner. Compliments my paintings and the price is right. It was the closest match to my customer's existing frames. My canvas is 3/4" deep. Will any of the foamcore backings fit, or is one necessary? BEST ANSWER: Not sure that this will help, but my canvas was 3/4 inch deep, and it just extends out the back a bit. I did not use a foamcore backing. I'm sorry, I don't know. This is a beautiful frame; I've used it twice & love it, but I don't know the answer to your question. Sorry. I didn't put foam backing on my picture.. It doesn't really need it The frame is really nice and enhances any picture. Good choice. Hi Carolyn. Foamcore is not needed when framing a canvas. Thank you! Can you make a frame for a painting 24” x 36”? BEST ANSWER: We make custom frames from 5" to 83", therefore, we will certainly be able to help. Thank you! We are looking at a farm 16x20 called antique wood picture frame. Will this work with a gallery wrapped print 1.5inches deep? BEST ANSWER: This frame has a 3/4" depth to it. A 1.5" canvas depth would exceed the frame depth and cause it to not sit flush on the wall. 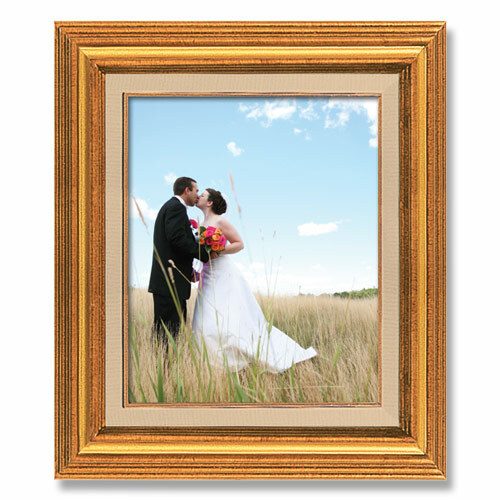 Our customer care team can assist you in finding the right frame and depth for your canvas. They can be reached at 1-800-332-8884. Thank you and happy framing! Will my college diploma 11 x 14 with mat and glass work? BEST ANSWER: Hello. Congrats on your graduation! Yes, the 11"x14" degree will work with the Frame, Mat and Glass. Please order size 11"x14" exactly. Happy Framing!